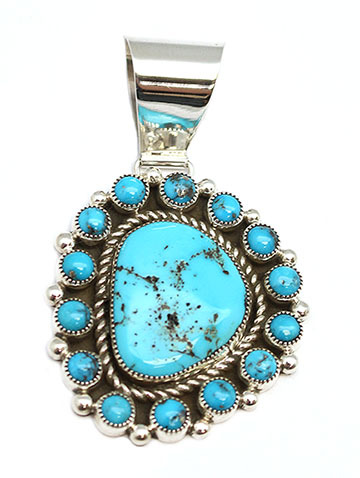 Sterling silver pendant with large and small sleeping beauty turquoise stones with twist wire and drops. It measures approximately 2 1/2" long including large bail (almost 1/2" opening) by 1 1/2" wide at widest. It is Navajo hand made by Tiffany Jones. Currently only this one available.